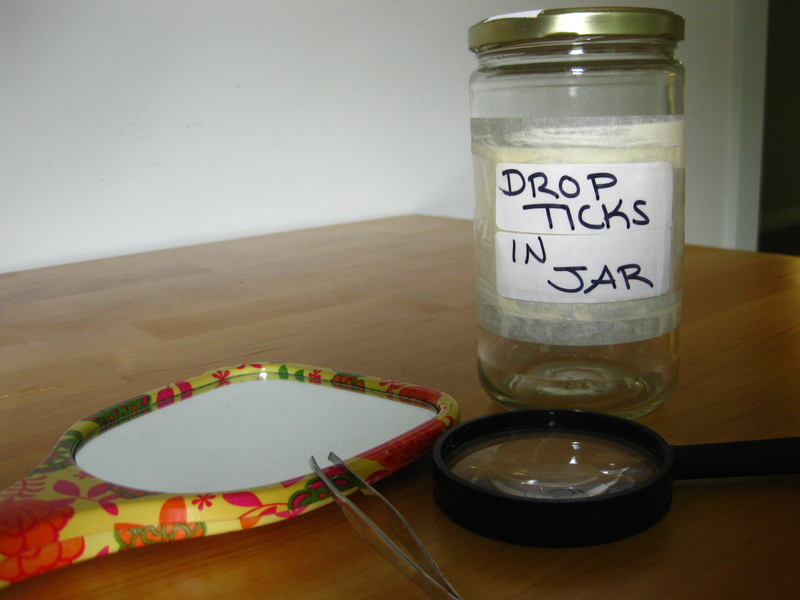 There was a lot of talk this spring about ticks. A lot of opinions and theories swirled around about why this year was going to be a big year for ticks, mostly related to the weather, acorns, and the presence of certain rodent species. Now, as someone who professionally and recreationally spends time in the woods, I paid attention to these reports. I talked to friends and co-workers, wondering truly if there was a tick-ocalypse looming on our horizon and how bad it would be. Would I get a tick? How would I remove it? With so many questions crowding my mind I got down to business thoroughly researching everything I could find about ticks. I took notes and checked sources, researched local physicians (just in case) and committed species attributes to memory. In other words I used Google and called my Mom. Mom turned out to be the best source of information; in addition to being an RN, her practical advice and motherly love both soothed me and boosted my confidence that ticks were something I could handle. Thanks Mom! 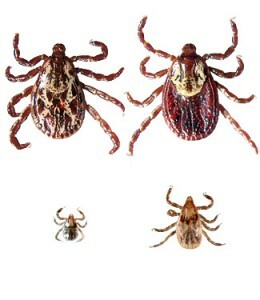 My peace of mind came just in time; I got my first tick ever a few days later during a weekend outdoor land trust event. Overcast, blustery, with temps hovering in the 40s the weather made sure I was bundled head to toe. We had a great event and I spent a lot of time walking through the fields and woods at the site. When I started hearing that attendees were finding ticks on themselves I immediately felt every rustle and tickle against my skin as a creeping crawling tick. I couldnâ€™t wait to get home and check myself. April 1, 2012 at the site of my first tick encounter. 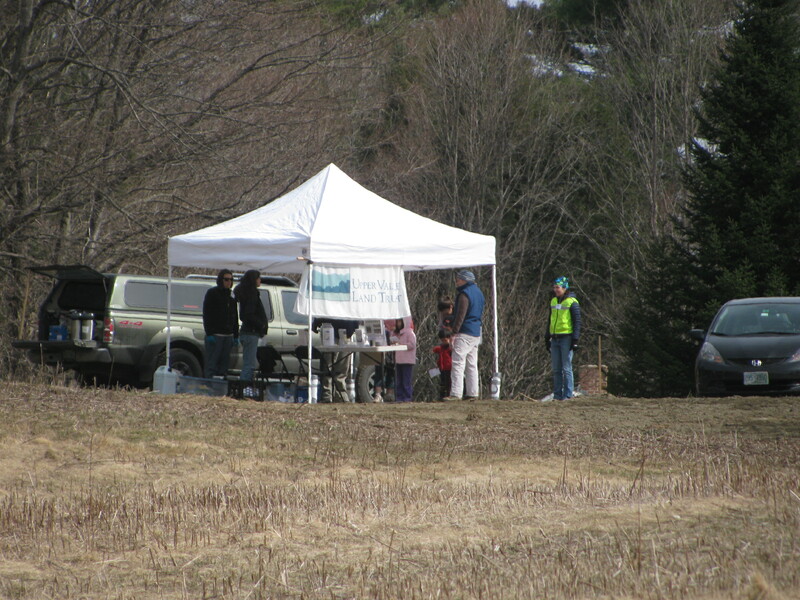 If you look closely at the far left under the tent I am visible making a face indicative of how blustery/cold this day was. Now for a brief disclaimer; there are many resources out there regarding ticks, tick removal, tick repellants, and tick diseases. I am not one of them. Please exercise your best judgment and never hesitate to consult a medical professional if you have been bitten by a tick. My method combines sight and touch. I run my hands over as much of my skin as possible; this is supposed to help you locate the ticks too tiny to see easily. Then I strip down and thoroughly check myself in the mirror, using two mirrors if I have to see behind me. It was during this process that I saw a suspicious looking freckle on my under-arm â€“ this freckle had legs. Lucky for me my Mom was visiting and the tick had only just latched on. She deftly removed it, plopped it into an old pickle jar, and froze it so Iâ€™d have it on hand to show to a doctor just in case I had any kinds of symptoms later on. This incident turned out to be an ice breaker of sorts. I had a tick, it creeped me out, but I could handle it AND I didnâ€™t get sick. Not even a sniffle. Although I remained symptom free I found myself motivated to find the flaw in my clothing that allowed this thing to touch me. My best guess theory, since I was bundled up, was that the tick made its way to my arm by slipping in around my collar or up my sleeve. Short of wearing a full body leotard I knew I couldnâ€™t come up with a flawless plan but I had a few I thought worth trying. My “in-office” look (and adoring accessory) versus my tick-induced fashion choice for monitoring (GPS accessory). I was preparing for my next monitoring visit a few weeks later when the landowner called me to let me know their forester had noted a heavy tick presence on the property. Great. On the upside Iâ€™d get to test out my new outfit! For this visit I opted to try out some stretch pants, socks pulled as high as they could go over the bottoms and a base-layer shirt tucked into the top. All I needed was coke-bottle glasses and suspenders and I could pass for a Steve Urkel impersonator! (A character from theÂ 1980’s-90’s sitcom ‘Family Matter’s’).Â Â Instead I topped my off my look with a bandana tied around my head and a backwards hat. My thought was to limit the places ticks could contact skin, particularly the hard to see places like in my hair. My husband, less inclined to wear stretch pants than myself, opted for the comfort of shorts but pulled his socks up to an admirable height and also tucked in his shirt and wore a hat. We were quite the pair and fancied ourselves the envy of posh 2012 summer clothing designers. Tick removal supplies and a jar not unlike my trusty pickle jar. Sure enough, there was one saucy little tick attached to, letâ€™s say, the side of the cheek your great-great Auntie wouldnâ€™t want to kiss. Nothing vulgar here folks, it would have been visible had I picked it up wearing my swimsuit, however, the location is worth sharing to warn against the perils of NOT checking yourself thoroughly. Ticks donâ€™t care that your unmentionables are, well, unmentionable. For me taking one look at an engorged tick was enough to want to make sure nothing that looked like THAT was anywhere on my person. Thank you: IMDB.com for information about my beloved childhood show, ‘Family Matters’ and University of Rhode Island TickEncounter Resource Center for information in general! 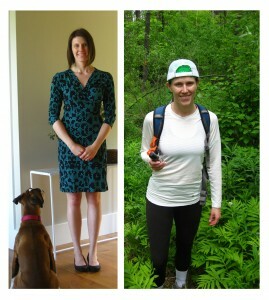 More images of our anti-tick outfits (tactical sock placement) – thumbs up! Volunteer Monitoring 101 Lesson Five: Can I Copy Your Notes?